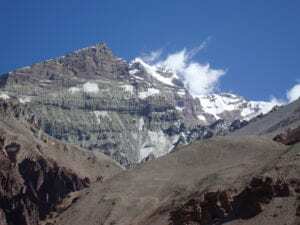 From the monastic site we will trek past the first lake to the stunning glaciated valley and then head up past a beautiful waterfall and into the wilderness. 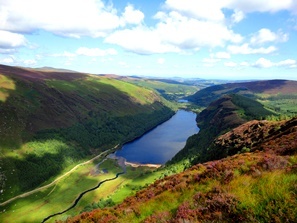 We then tackle the 536 steps up to the beautiful look out point back to the monastic site and see the valley in all its splendor. 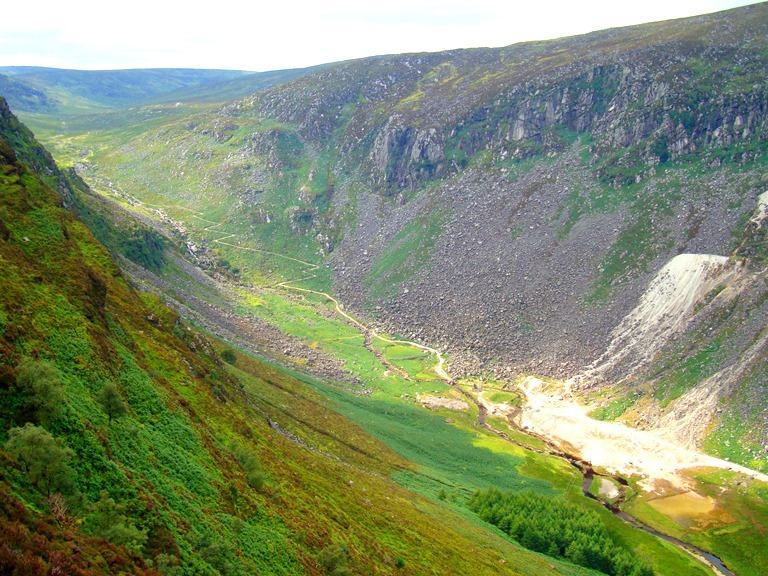 We will follow this horseshoe route to the back of the valley before descending back to the miner’s village and back to base. 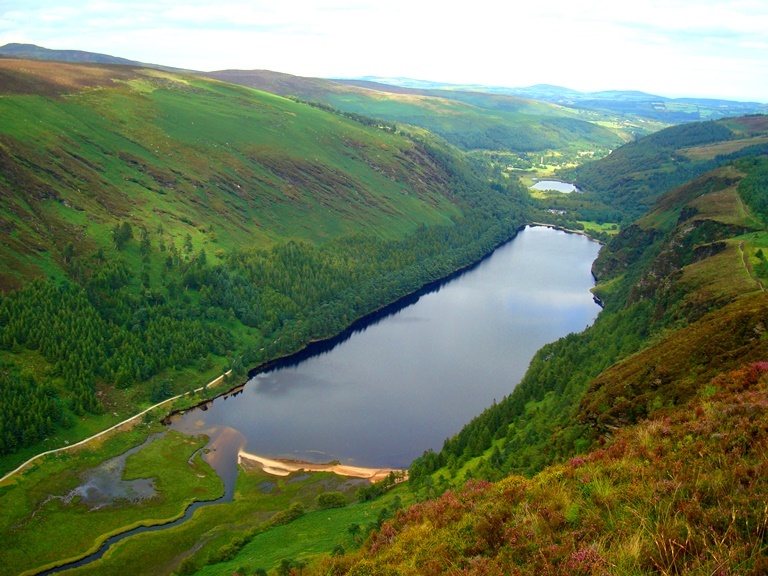 This is one of Ireland most beautiful regions and one not be missed. 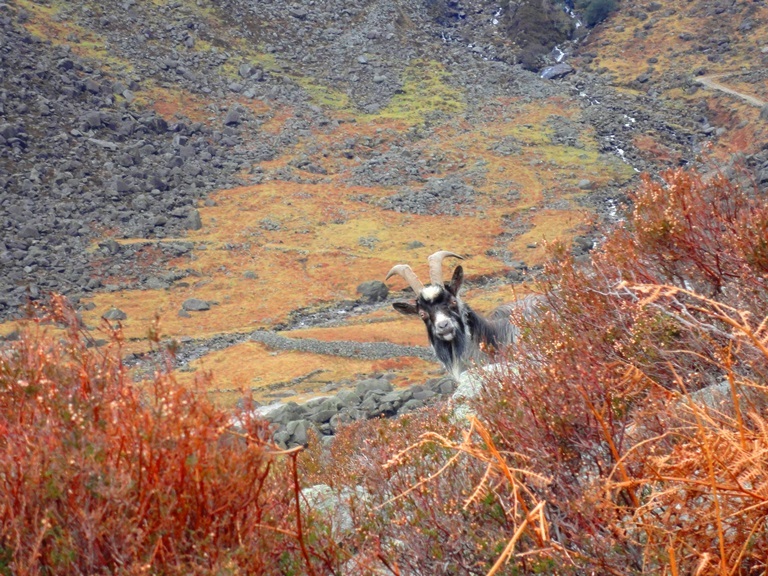 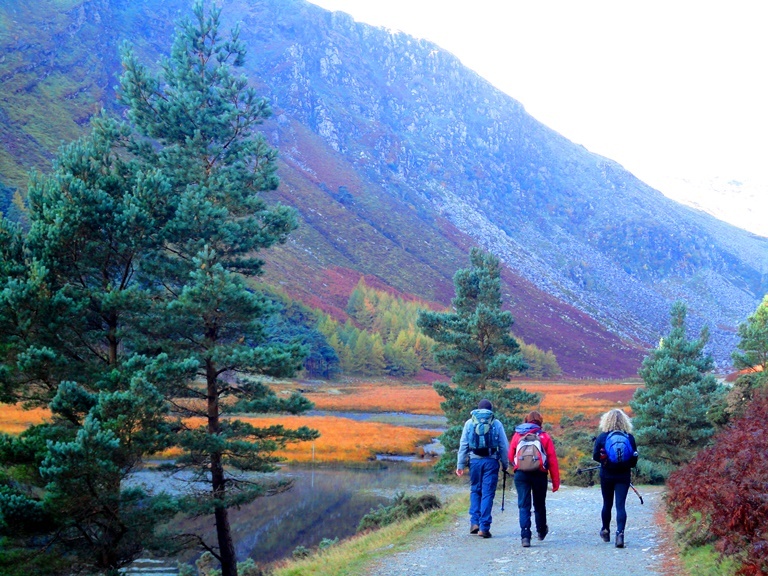 Hiking in Glendalough has it all. 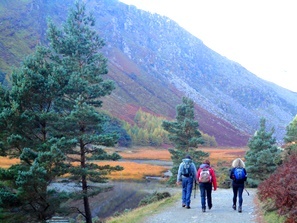 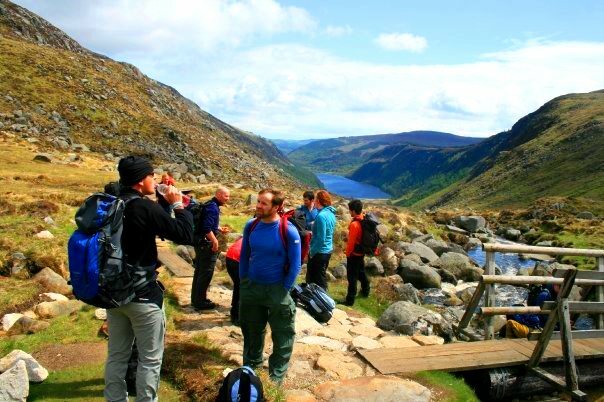 There are many different trekking itineraries in the Glendalough Valley. 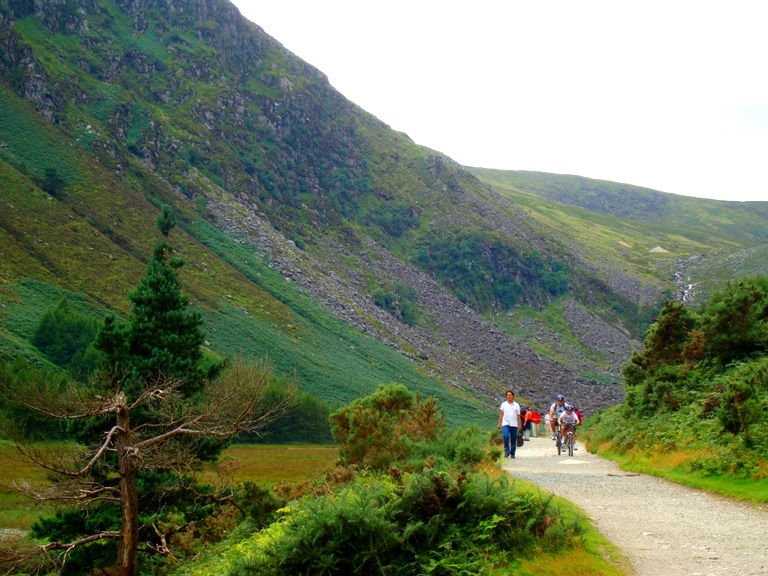 We normally use 5 different routes depending on the group, weather and time available. 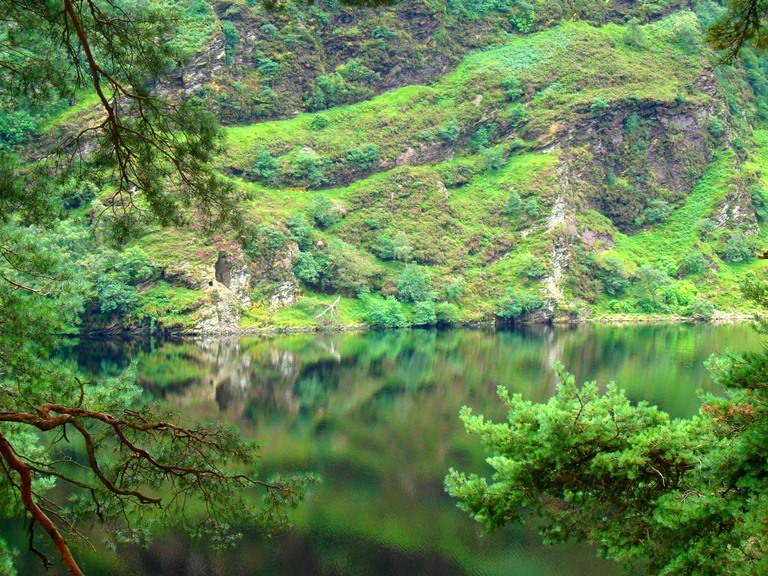 We are happy to accommodate all request. 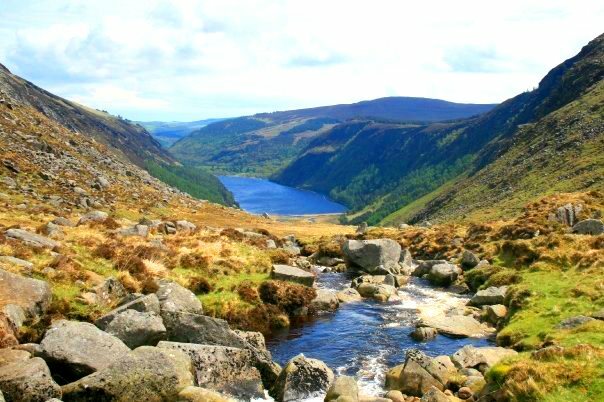 This beautiful valley is a picturesque area very close to the Dublin City Center that will give your typical Irish countryside views that are second to none! 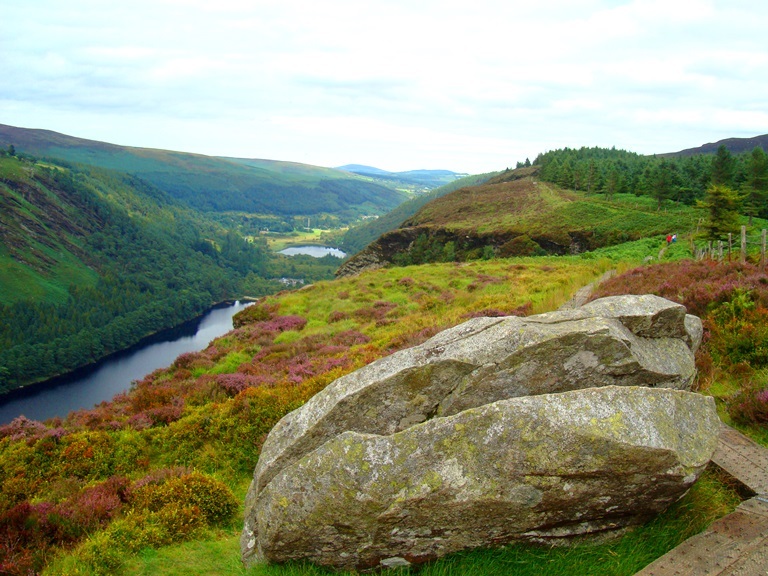 Glendalough has so many trails and hikes and new regions to be explored so you wont be disappointed. 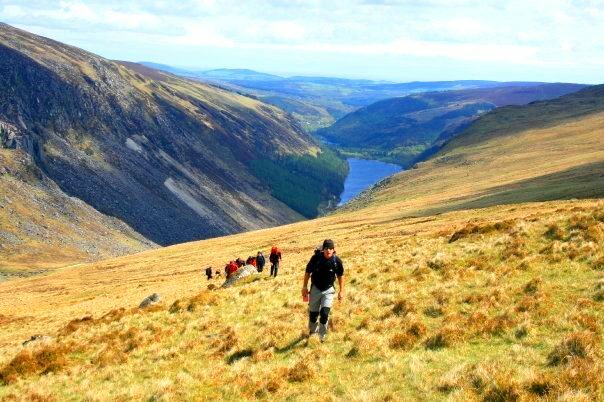 If visiting for the day or planning to get out hiking on a regular basis, this stunning region of Ireland is easy to access and has a lifetime to walking, training and enjoyment for all levels. 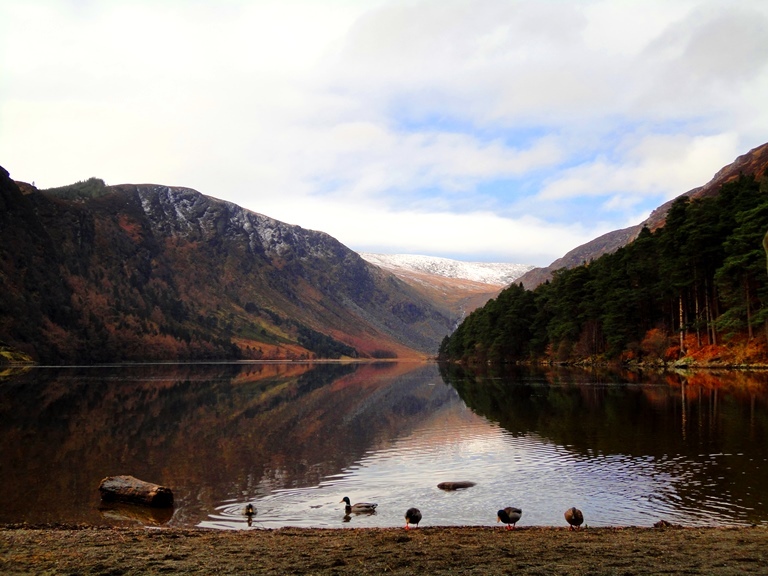 Does this information excite you to start hiking in Glendalough? If so, get in touch today. We pride ourselves on making sure that our clients have every opportunity to succeed on the mountains, including professional training advice, gear lists and video links on how to pack your bag, and much more. We are always available to answer any questions you may have by email, phone or skype, so contact us today!